Our Abpromise guarantee covers the use of ab46174 in the following tested applications. Associates specifically with huntingtin. This binding is enhanced by an expanded polyglutamine repeat. Predominantly expressed in brain. Selectively expressed in neurons. Contains 1 HAP1 N-terminal domain. Ab46174 staining Huntingtin Associated Protein 1 by immunohistochemistry using frozen tissue. The cryostat section of the rat spinal cord was incubated in ab46174 to the rat HAP1 protein at the dilution of 1:1000 overnight followed with a biotinylated secondary antibody and ABC kit. The section was developed in diaminobenzidine solution and enhanced in the presence of nickel sulphate. 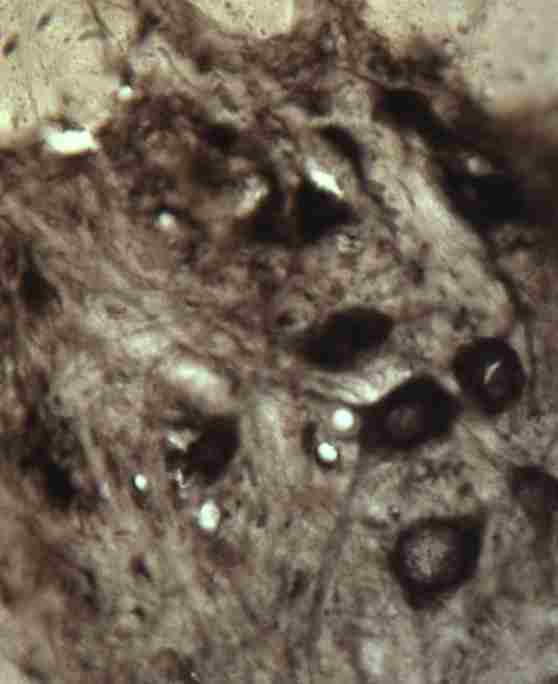 Cell bodies and nerve fibers in the spinal cord nerve are stained. ab46174 has not yet been referenced specifically in any publications. Publishing research using ab46174? Please let us know so that we can cite the reference in this datasheet. There are currently no Customer reviews or Questions for ab46174.